Ian Morgan Cron Archives - Book.Blog.Bake. I saw this rated fairly highly on Amazon by people whose taste in memoirs I trust, so when Amazon marked it down for a day, I decided to give it a try. “When I first discovered the grainy picture in my mother’s desk–me as a towheaded two year old sitting in what I remember was a salmon-orange-stained lifeboat–I was overwhelmed by the feeling that the boy in the boat was not waving and laughing at the person snapping the photo as much as he was frantically trying to get the attention of the man I am today. The boy was beckoning me to join him on a voyage through the harrowing straits of memory. He was gambling that if we survived the passage, we might discover an ocean where the past would become the wind at our back rather than a driving gale to the nose of our boat. 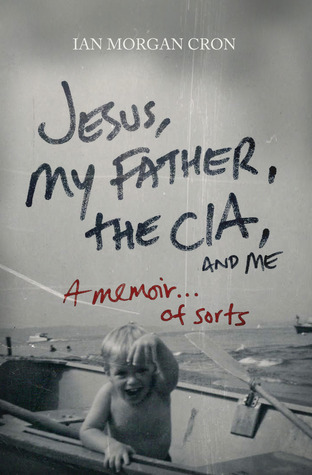 This book is the record of that voyage.” When he was sixteen years old, Ian Morgan Cron was told about his father’s clandestine work with the CIA. This astonishing revelation, coupled with his father’s dark struggles with chronic alcoholism and depression, upended the world of a boy struggling to become a man. Decades later, as he faces his own personal demons, Ian realizes the only way to find peace is to voyage back through a painful childhood marked by extremes–privilege and poverty, violence and tenderness, truth and deceit–that he’s spent years trying to escape. I think this book suffers from the same memoir syndrome that Mennonite in a Little Black Dress suffered from. The stories are unwieldy at times and don’t always flow together well. Cron tells individual stories in a very inviting way, and pulls you into all the aspects of his life. However, at times this book seemed more like disjointed stories than a polished memoir. I think it’s because of this that it took me three weeks to read this book, which rarely happens. I was interested in it. . . until the scenes shifted and I wasn’t anymore. That’s what keeps this book from being a 4 or 5 star book for me, but there is plenty of worthwhile material here. I applaud the honesty it takes to write such a memoir, and as I stated earlier, the individual stories are well-written and emotionally engaging. There’s a chapter towards the end of the book where Cron talks about faith and relates it to his family’s cliff-jumping activities that is exceptionally well done and that chapter gets 5 stars from me. Ultimately, there’s not a whole lot to say about this book. I think it can be a worthwhile read, especially for those who can relate to Cron’s past, but it’s not the amazing book I thought it would be. Decent, but a bit of a disappointment. Final Impression: At times, the great writing shines through, but there’s not enough of a cohesion to make this a completely worthwhile read for me. As far as memoirs go, you could do a lot worse, but it’s not a book I would recommend buying at full price. 3/5 stars.